Patrick Round is working as CMO for a number of Biotech start-up companies including NorthSea Therapeutics BV. Prior to that he was CMO and CEO of Xention Limited and was responsible for all the clinical development work for Dezima BV prior to its acquisition by Amgen. Before Xention he was Senior Vice President of Development at Cambridge Antibody Technology when it was acquired by Astra Zeneca. 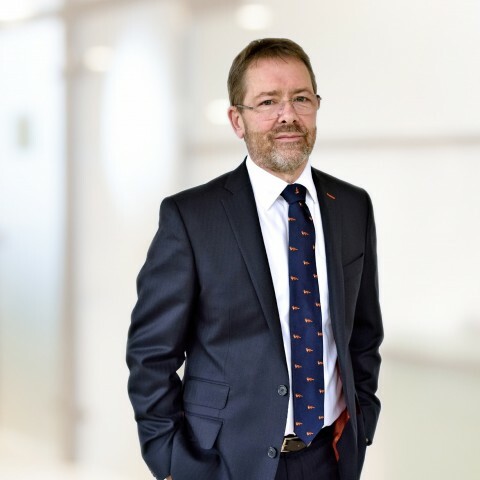 He also served as Director of Development at Celltech, Director of Clinical Development at Glaxo Wellcome and started his pharma career as a medical adviser at Novo Nordisk in 1991 in the UK and later in Denmark. He received his medical degree from Charing Cross Hospital Medical School in London in 1982, became a Fellow of the Royal College of Anaesthetists in 1990 and a Fellow of the Faculty of Pharmaceutical Medicine in 2005.